In a recent report, we detailed how many consumers may unknowingly be suffering from inner ear damage that current tests might not pick up on. The condition might not be that noticeable in a quiet room, but in a crowded restaurant or noisy setting it could make hearing difficult. 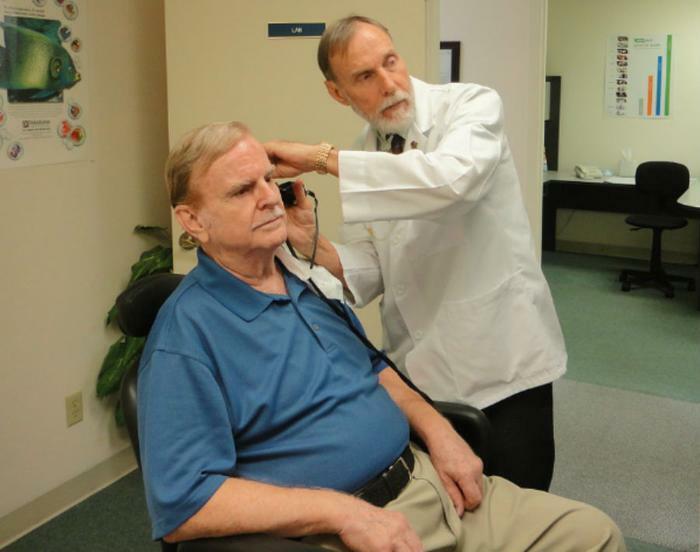 Of course, one of the most common fixes for hearing loss is to be tested by a specialist and outfitted with a hearing aid. But unfortunately, these devices are becoming so expensive that some consumers simply can’t afford them; patient advocacy group Hearing Loss Association of America estimates the average cost for a pair of hearing aids is currently around $5,000. That simple fact has prompted lawmakers to consider legislation that would create a class of hearing aids that could be sold over-the-counter (OTC), according to the Wall Street Journal. However, the hearing aid industry is opposing the effort, and audiologists are also voicing their concerns. One of the reasons hearing aid prices have ballooned so highly is the fact that the devices are not covered under Medicare, a stipulation that was imposed in the 1960s when they were cheaper, not as effective, and the health risks associated with hearing loss were not completely understood . Private insurance companies have also been hesitant to cover the devices in their plans, preferring to follow Medicare’s example. That translates to around 30 million Americans who suffer from some degree of hearing loss having to foot the bill, according to a Johns Hopkins University study. One consumer, Patricia Holland, explains how she had to wait several years to buy even one hearing aid because of the unexpected high prices. “I only bought a hearing aid in one ear because the cost was so high but you really need two for balance,” she explains. It’s a story that patient advocacy groups know too well. Barbara Kelley, executive director of Hearing Loss Association of America, says that the organization receives up to eight calls or emails daily from consumers who say that hearing aids are just too expensive, a fact that she says leads to preventable health risks like increased number of falls, anxiety, isolation, and cognitive decline. “Cost is a barrier. Stigma is a barrier. Access to care is a barrier. People with mild to moderate hearing loss aren’t even taking the steps to get hearing health care,” she said. This current state of affairs might make the proposed legislation seem like a godsend to those in need of the devices, but the hearing aid industry and audiologists say that OTC hearing aids are not the way to solve the problem, at least not for more moderate or severe cases. “Hearing loss is a health issue. Going about it with self-diagnosis and self-treatment is not a responsible way to approach hearing loss. . . The proper way to fit hearing aids requires patient service and patient care and that is done through a proper hearing professional,” said Brandon Sawalich, senior vice president of Starkey Hearing Technologies and chairman of the board of the Hearing Industries Association (HIA). However, Sawalich says that HIA would support efforts to provide OTC hearing aids for mild hearing loss. The American Academy of Audiology remained noncommittal on its stance on the legislation, but voiced concerns that consumers need to know more about different hearing devices and what they can be used for. So, what are consumers who are stuck between high prices and the need for expert consultation to do? Some technology companies say that the answer may lie in personal sound amplification products (PSAPS) that are already commercially available. Manufacturers of these devices have already come out in support of the legislation, saying that the bill’s passing would allow them to market their products for hearing loss – a practice that is currently forbidden by the FDA because PSAPS are not technically medical devices. The Wall Street Journal points out that certain devices sold by companies like Doppler Labs and Bose can even be adjusted by smartphone apps and are much cheaper, usually carrying a price tag of less than $500 per ear. Advocates point out that the devices could be a viable solution for consumers with mild hearing loss. Protection plans for electronic devices -- are they worth it?